Less than two weeks out, I'm ready to make my prediction for election night. Surprises? 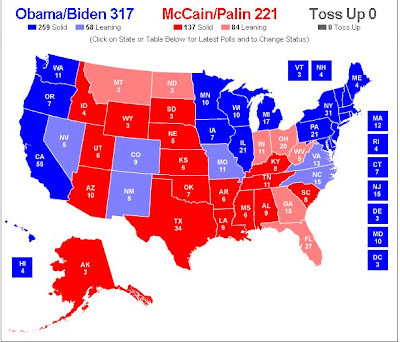 I think Ohio and Florida are most susceptible to McCain's attacks on Obama. Polls will tighten there going into the election, and both will be dramatically close. But there are 13 days left, and a lot could still change.